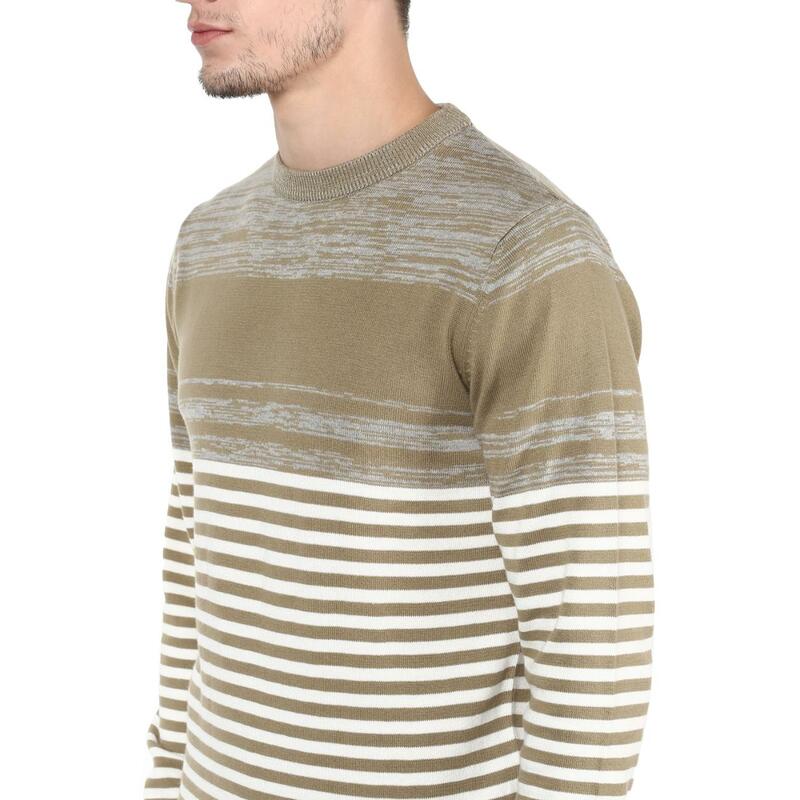 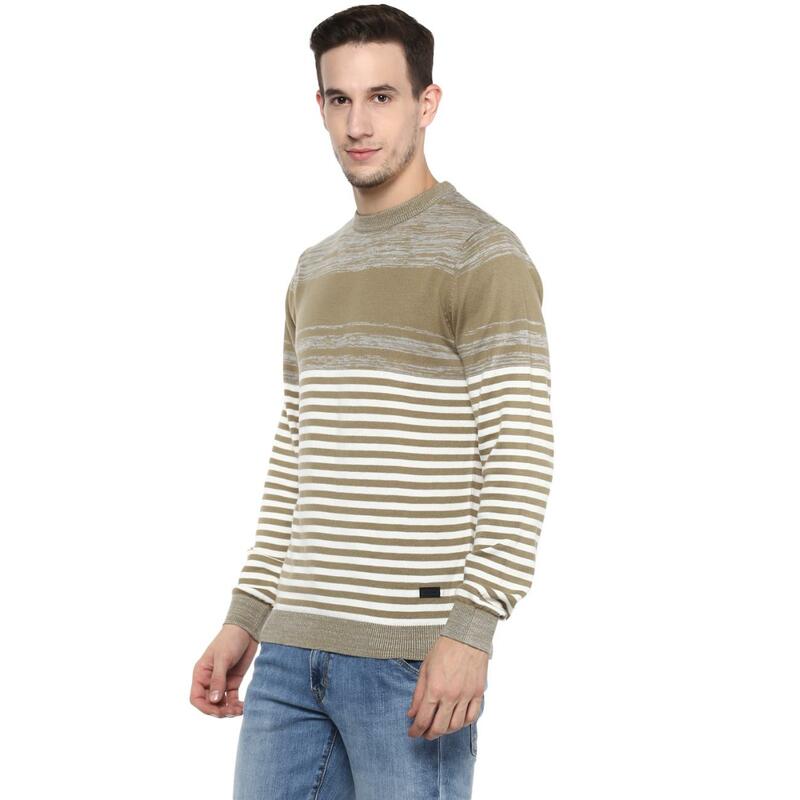 Designed for modern men, this olive and white coloured sweater from Red Chief is something hard to miss out on. 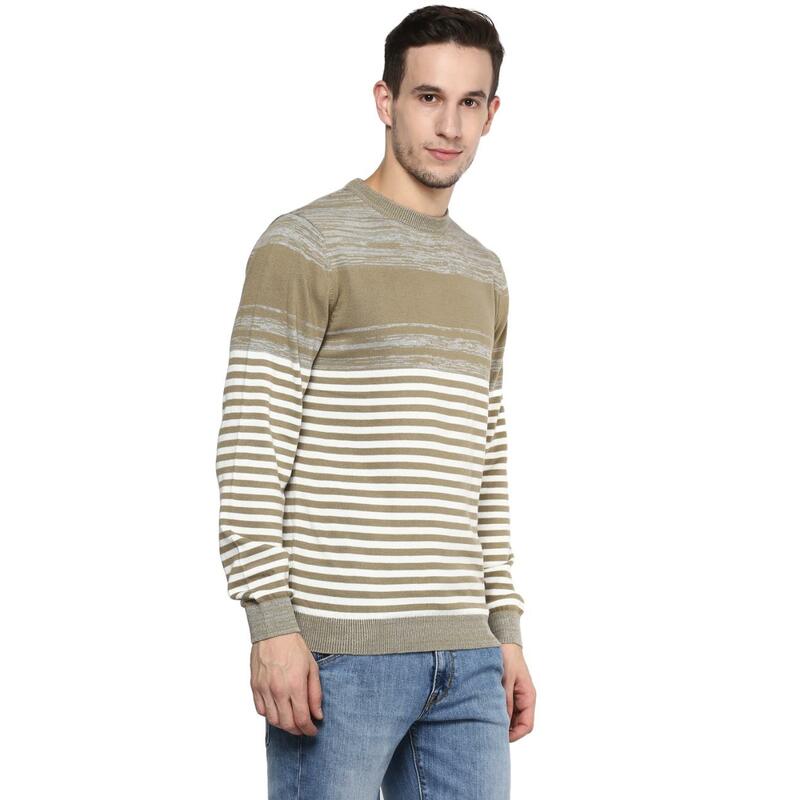 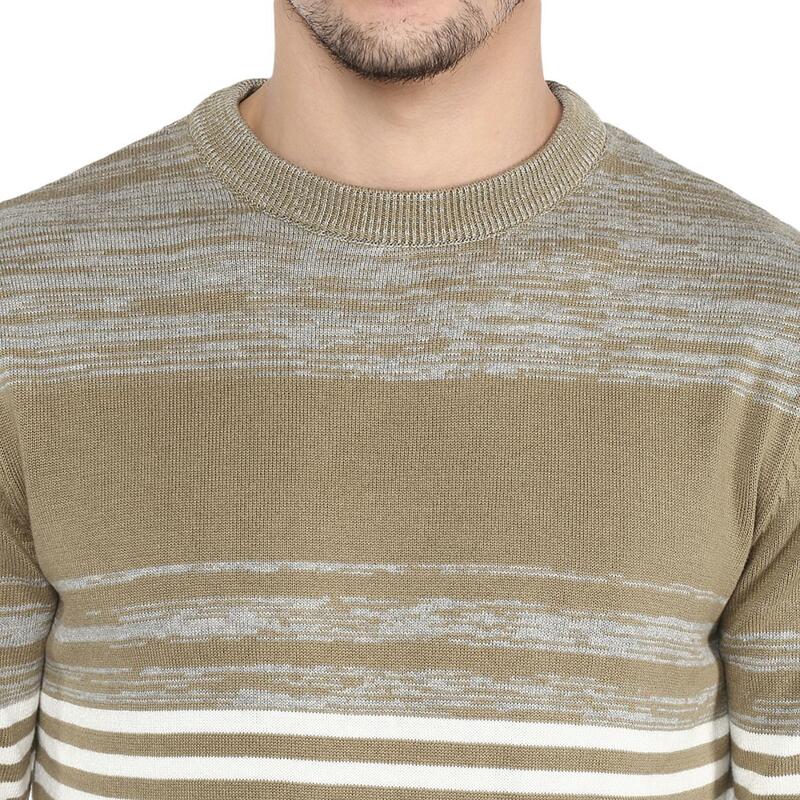 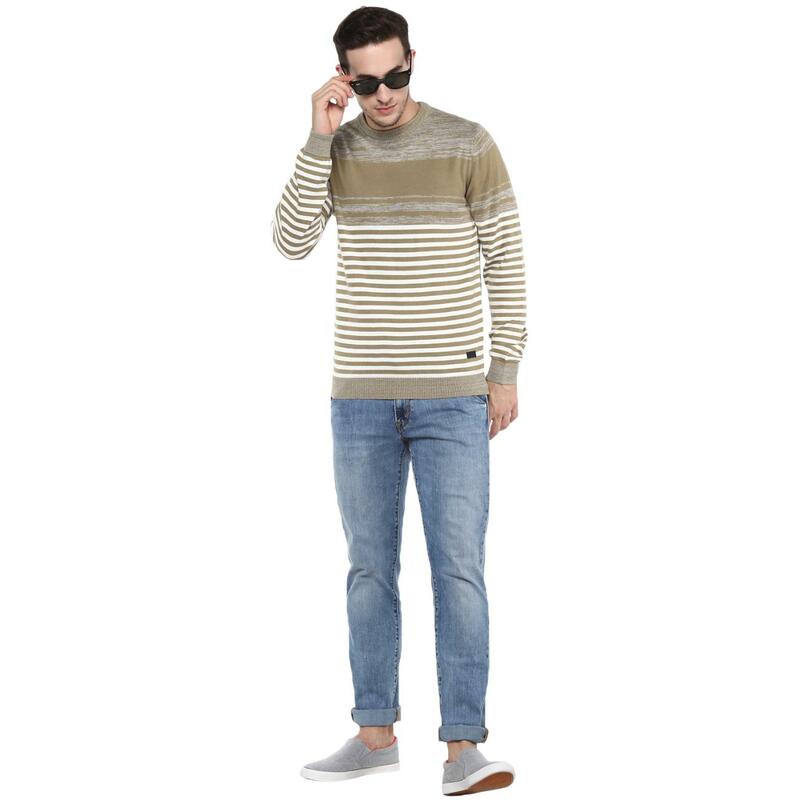 Styled with a striped pattern, this round neck sweater lends a stylish look. 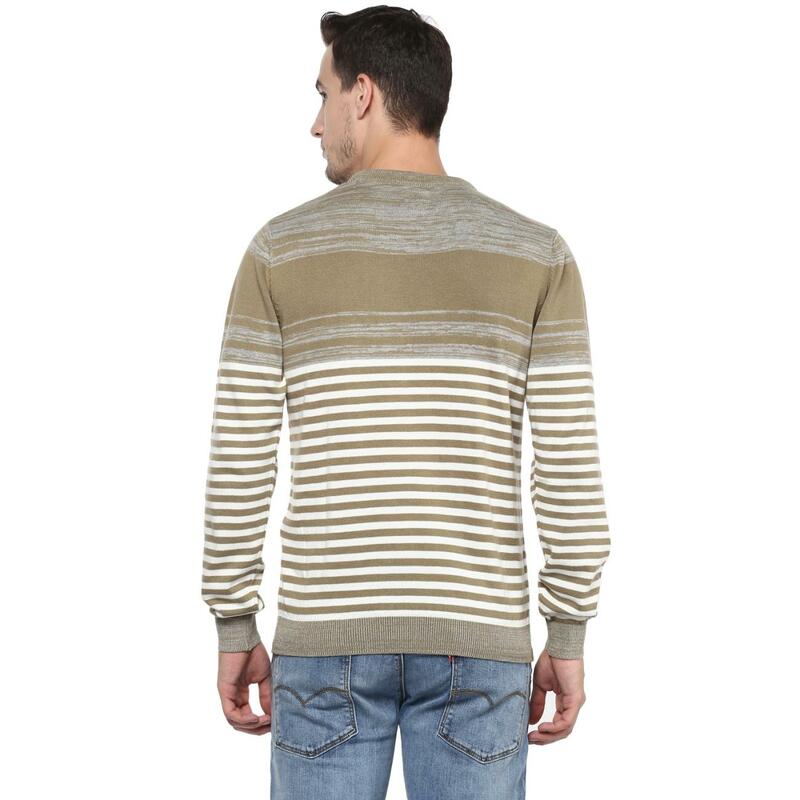 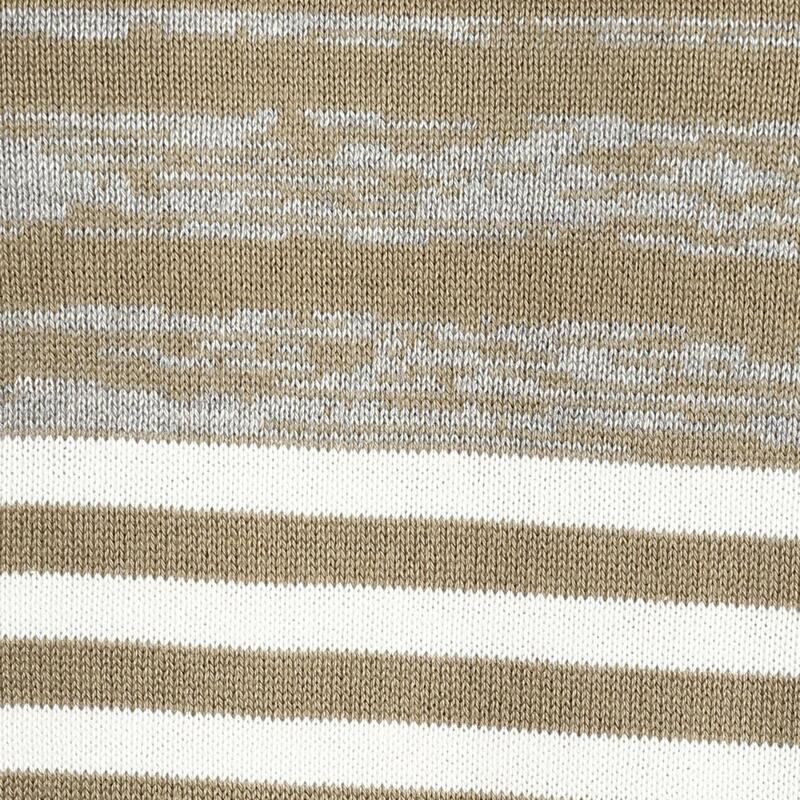 Fashioned from 100% cotton, this sweater also provides needed warmth and coisness. 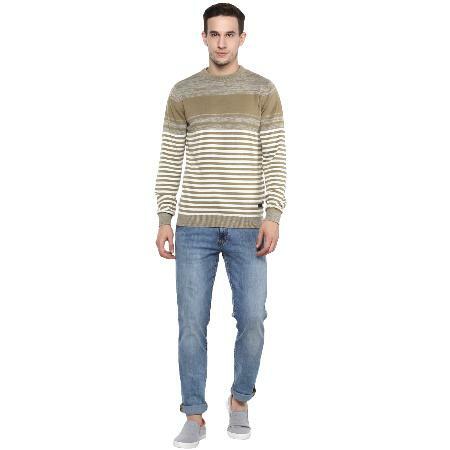 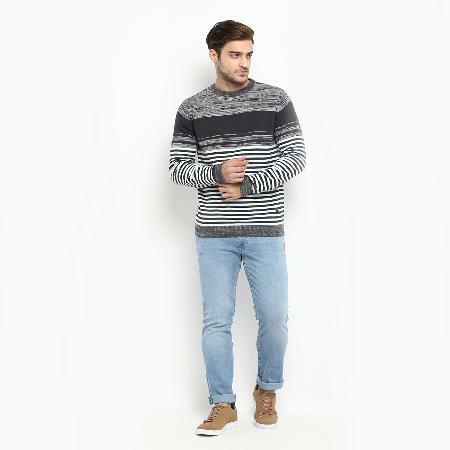 Team this sweater with light blue denims and casual shoes to look your best.